Large carpenter bees are charismatic and ubiquitous flower visitors in the tropics and sub-tropics. Unlike honeybees and bumblebees that have been popular subjects of extensive studies on their neuroethology, behaviour and ecology, carpenter bees have received little attention. 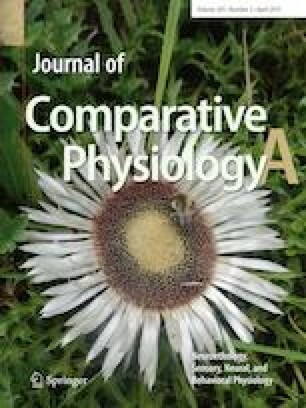 This review integrates what is known about their foraging behaviour as well as sensory, physiological and cognitive adaptations and is motivated by their versatility as flower visitors and pollinators. This is evident from their extremely generalist foraging and adeptness at handling diverse flower types as legitimate pollinators and as illegitimate nectar robbers. They purportedly use traplining to forage between isolated patches and are long-distance flyers over several kilometres suggesting well-developed spatial learning, route memory and navigational capabilities. They have a broad range of temperature tolerance and thermoregulatory capabilities which are likely employed in their forays into crepuscular and nocturnal time periods. Such temporal extensions into dim-light periods invoke a suite of visual adaptations in their apposition optics. Thus, we propose that carpenter bees are an excellent though understudied group for exploring the complex nature of plant-pollinator mutualisms from ecological and mechanistic perspectives. We thank Friedrich Barth for the invitation to write this review and Almut Kelber for many bee discussions, IISER—TVM, Swedish International Development Agency and Wenner Gren Foundation funded field work conducted by HS, PS and BMG.